held fast by maya’s string. all the more sharp and strong. across the sea of the world. 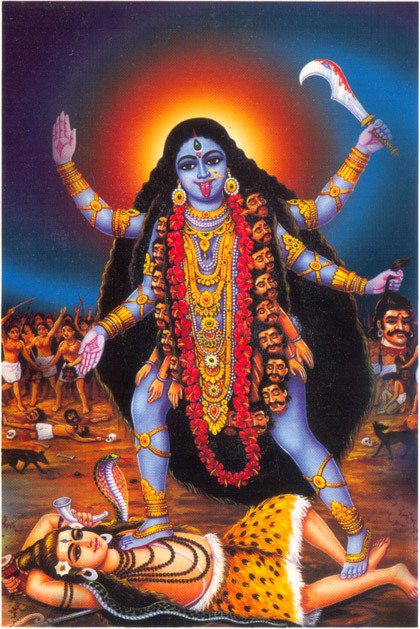 Note: Shyama Kali is the more tender aspect of Kali. She is worshiped in many households as the dispenser of boons and dispeller of fear. This entry was posted in divine mother, kali, ramprasad, shyama and tagged kali, kriyananda, ramprasad, ramprasad sen, shyama. Bookmark the permalink.